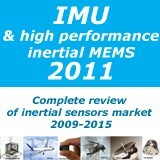 Do not miss the one day tutorial on 'Smart Sensors Systems Design' June 5, 2012 | 9:00 am - 5:00 pm ! 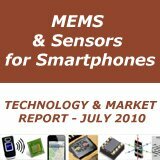 The Global MEMS Accelerometer Market to Grow At A CAGR of 17.5 Percent over the Period 2011-2015. One of the key factors contributing to this market growth is the declining price of MEMS accelerometers. The Global MEMS Accelerometer market has also been witnessing an increasing number of MEMS accelerometer applications in safeguarding laptop hard disks. However, the high cost of production could pose a challenge to the growth of this market. 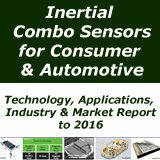 Key vendors dominating this market space include Bosch Sensortech GmbH, Freescale Semiconductor Inc., Kionix Inc., and STMicroelectronics N. V.
Commenting on the report, an analyst from TechNavio's Embedded Systems team said, One of the important growth drivers in the Global MEMS Accelerometer market is the decline in the prices of MEMS accelerometers. 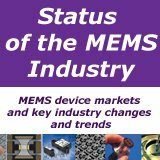 The average selling prices (ASPs) of MEMS accelerometers are expected to decline during the forecast period. 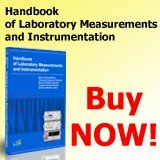 This will make them affordable for different consumer electronics applications. End-users will be able to avail of high-performance output at a low cost. The prices of MEMS accelerometers are declining because of bulk volume production, and also to facilitate the increased application of MEMS accelerometers in the Consumer Electronics segment. 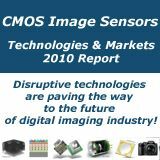 According to the report, the growing usage of MEMS accelerometers in cameras is another emerging trend in the Global MEMS Accelerometer market. An MEMS accelerometer is useful in a still camera to clearly capture an image. It is also useful for image stabilization in camcorders. MMES accelerators are also used in many mobile phone cameras. In digital cameras, they identify the orientation of the image being captured and also rotate the image when it is being viewed. Thus, all these features have made cameras very attractive to end-users, which lead to the growth of the Global MEMS Accelerometer market. 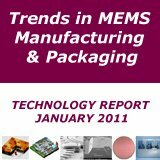 Further, the report also discusses that the high production cost of MEMS accelerometers is a challenge for the growth of the market. New Wifi Sensors to Connect Directly to Cloud Servers and iPhone/Android Platforms - The new Wifi module for the Waspmote platform enables the sensor nodes to send the gathered data to Web servers in the Cloud and to any Smartphone device without the need of a special gateway, making the deployment of sensor networks an easy task. <Click> for details. 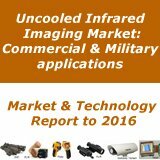 According to a new market research report "Motion Sensors Market, Global Forecast & Analysis (2011-2016) By Technology (Passive Infrared, Ultrasonic, Microwave, Tomographic, Dual -Technology/ Hybrid), Application Types (Consumer Electronics, Automotive, Industrial & Medical, Aerospace & Defense) & Products (Mems Accelerometer, Mems Gyroscopes, Digital Compass)'', published by MarketsandMarkets, the total Global Motion Sensors market is expected to reach $4.8 billion by 2016 at a CAGR of 21.78 % from 2011 to 2016. Today, the largest market share is held by consumer electronic & automotive devices, which have been increasing considerably. The increasing is due to growth in smartphones & tablets and various advanced automotive applications, increase in number of corporate buyers, and rise in application related motion sensing technology. Lots of other products are enbled of Motion sensor such as the smartphone & tablets, interactive displays, industrial machines, medical equipments, defense & military weapons are expected to capture the market in the next two to three years. The increasing demand for Motion Sensor technology has influenced many manufacturers to develop motion sensor products, which have bright applications like infotainment and entertainment services. This also creates the opportunities for software companies to increase their market by providing new solutions for different products in this segment. The global market for wireless sensor devices used in end vertical applications totaled $532 million in 2010 and $790 million in 2011. This market is expected to increase at a 43.1 % compound annual growth rate (CAGR) and reach an estimated $4.7 billion by 2016. The Asia-Pacific (APAC) region is unsurprisingly the fastest growing market for wireless sensors. This region was worth $225 million in 2011 and is projected to reach $1.6 billion by 2016, a CAGR of 48.6 % between 2011 and 2016. Japan has a top market for wireless sensors in the APAC region. This segment was worth $77 million in 2011 and is expected to reach $392 million by 2016, a CAGR of 38.5 % between 2011 and 2016.